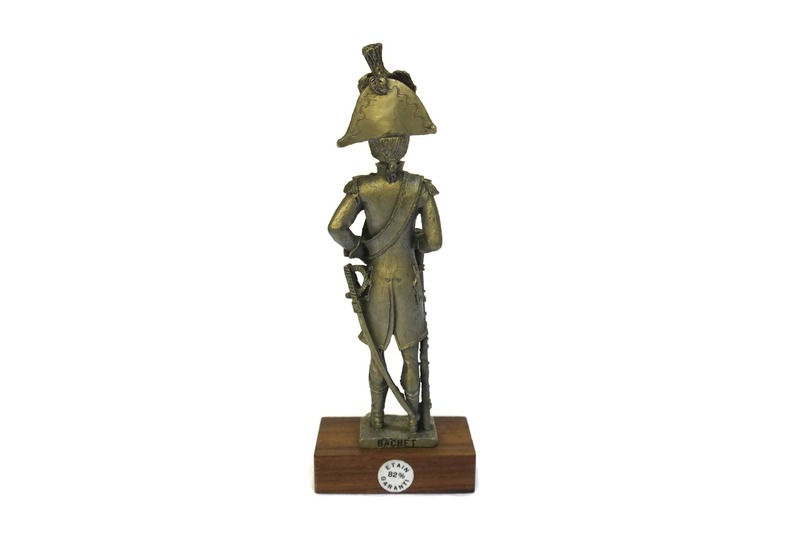 French Vintage Pewter Figurine. Drum Major Orchestra 1st Guards Regiment. 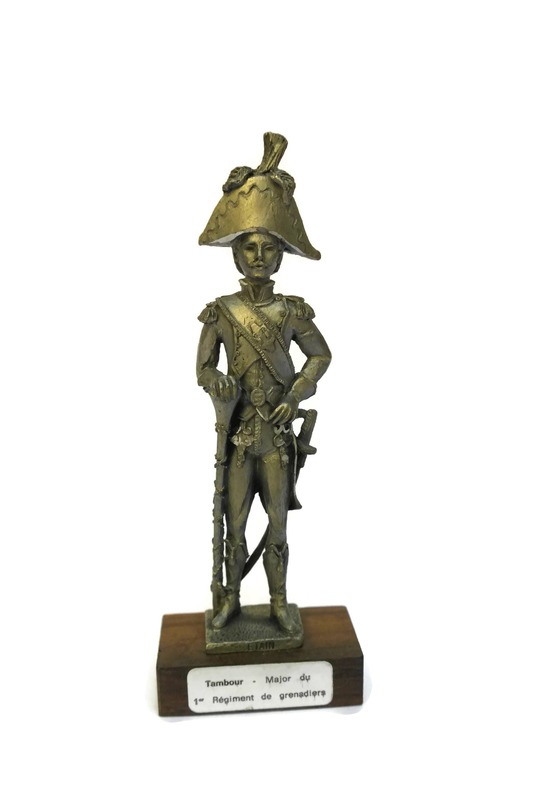 Grenadier 1805 Sculpture. French Military Decor. 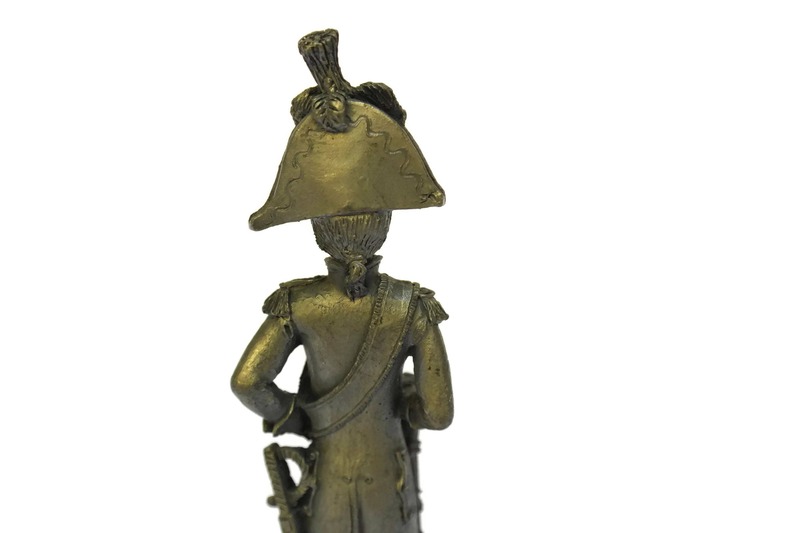 A French vintage pewter figurine of the 1st French Empire. 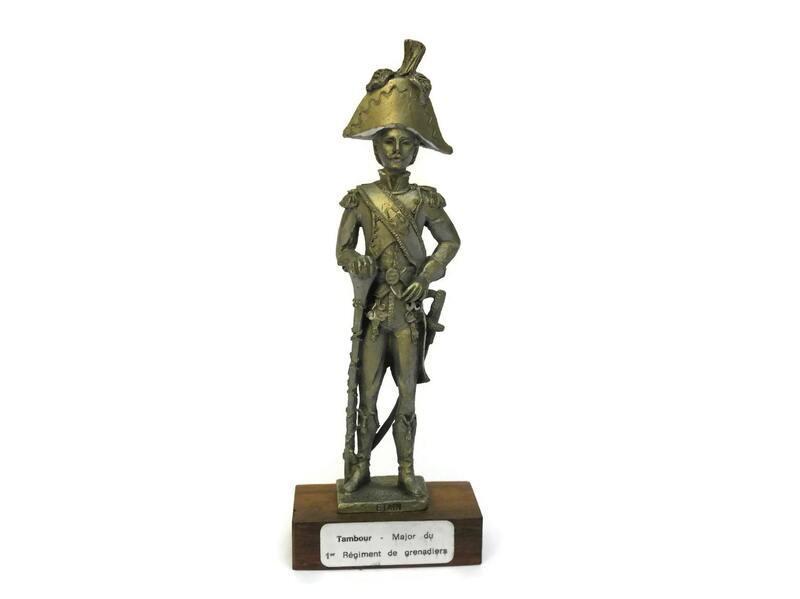 It features the Drum Major Orchestra of the 1st Guards Regiment of Grenadier. 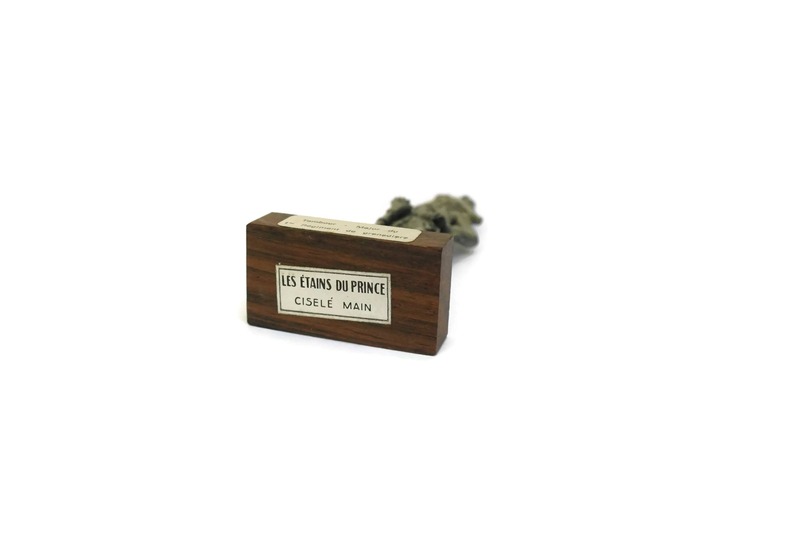 The figure has been mounted on a wooden base and has its original label which has been printed in French to indicate that the piece was hand carved for the famous brand "Les Etains du Prince"
The piece has the name of the artist Bachet. 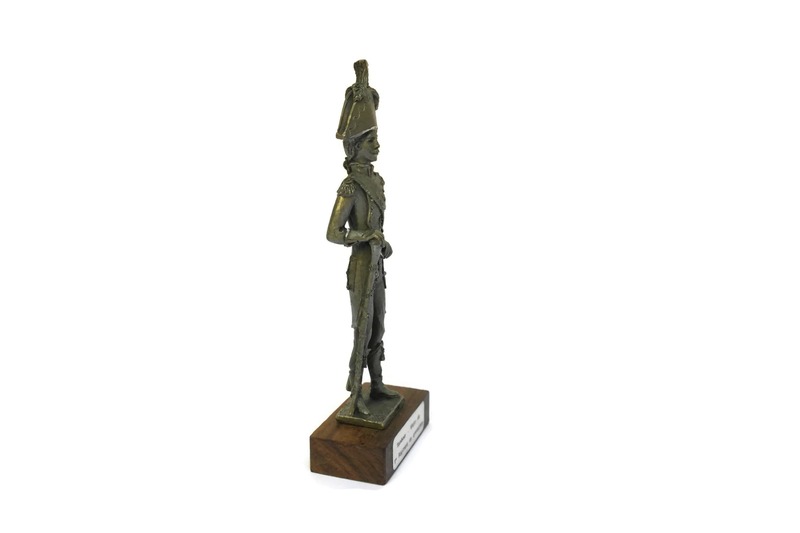 The statuette itself (excluding the base) is 4 1/2" Tall and 1 1/4 wide (11 cm x 3 cm). 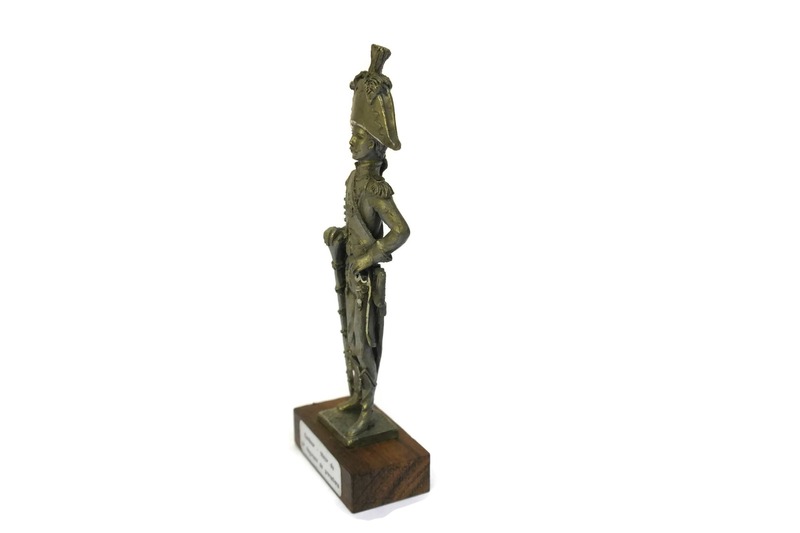 The sculpture is in very good vintage condition with patina and age appropriate wear.